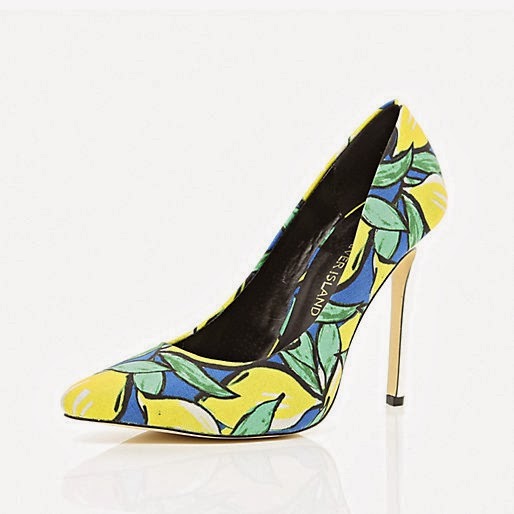 When I saw these River Island shoes I instantly wanted to recreate the print on my nails. Whilst it was tempting to try a different colour combination for these nails I just loved the original too much to stray. I created this look in the same way as my Aloha nails. Tutorial here. 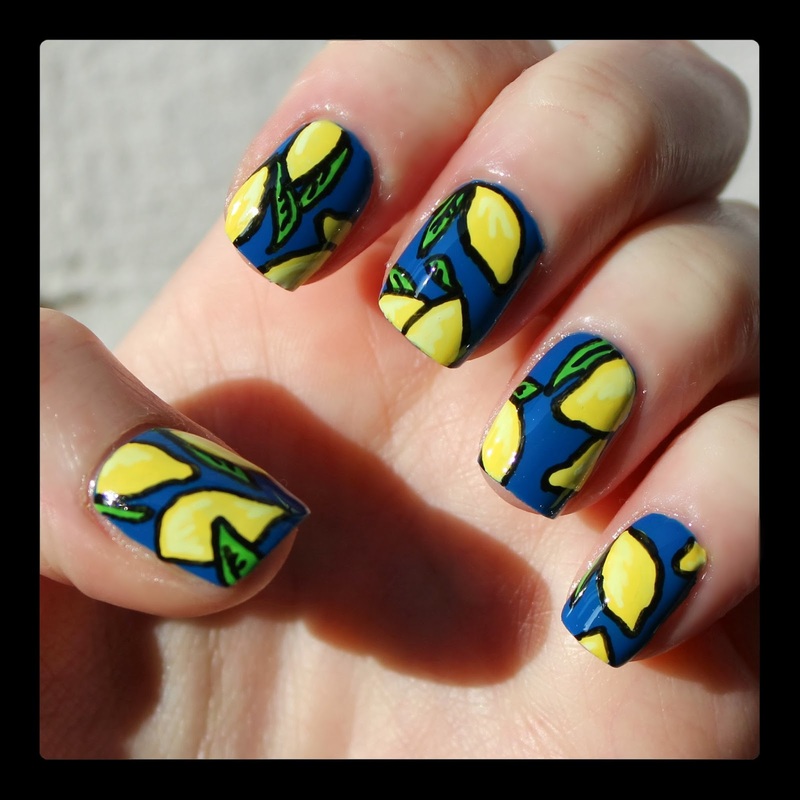 I painted on my base colour (Barry M's 'Cobalt Blue') and then drew the lemons and leaves with my white nail art pen. I then filled in with the yellow (Barry M's limited edition yellow from last summer) and green (Max Factor's 'Cactus Green'). I used my white nail art pen for some highlights on the lemons and then outlined everything using a black nail art pen. I love a bit of fruity nail art but tend to stick to pineapples and bananas so it was nice for a bit of a change. I really liked how these turned out and was devastated to have to take them off but I will be definitely be wearing them again in summer (if I can persuade Jo to do my right hand).